The HEFAR Group is a non-profit division of San Tan Financial dedicated to helping families and individuals plan financially for college. We strive to make college education more affordable for everyone. 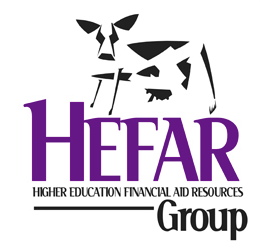 Our mission is lower your out-of-pocket expense and increase your eligibility for financial aid by helping you qualify for all of the grants, scholarships and other aid you are entitled to. In addition, we create a strategy to help you pay for what costs are left uncovered so that paying for college is not such a heavy burden! The success of our planning services is rooted in the expertise of our team. All of our college planning specialists are highly trained and meet rigorous certification requirements. In fact, many of our advisors are part of a select minority of advisors in the country that have earned a Certified College Planning Specialist (CCPS) designation. With us, you can beat the high cost of college by doubling or even tripling your eligibility for financial aid. And the best part is — our service is completely FREE! You just have to take the first step and contact us for help. You can schedule an appointment with one of our college planning specialists in a number of ways.